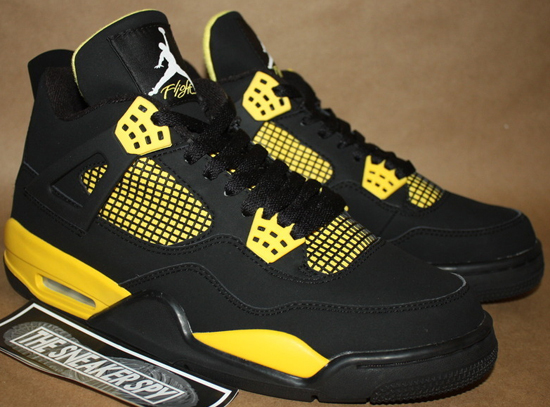 One of the most popular retro colorways of the Air Jordan IV. Making its return next month for the first time since 2007s limited online exclusive release. Click here to grab a pair on eBay. 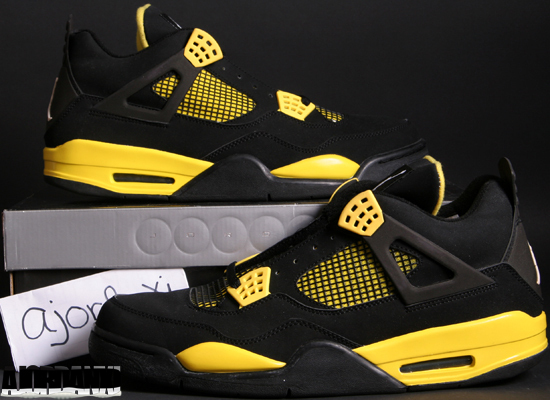 Set to return by the end of the year, the "Thunder" Air Jordan IV Retro. 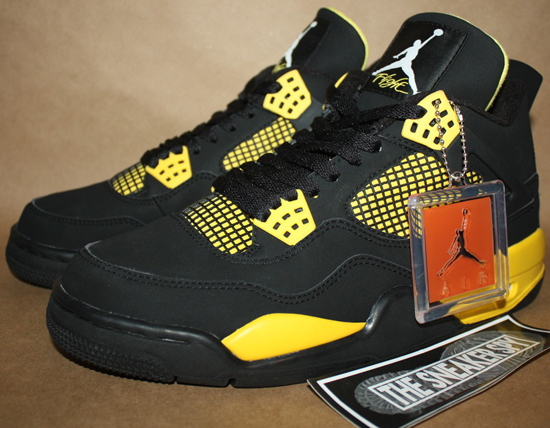 Originally these were a part of a limited online exclusive release in 2006 as a part of the "Thunder & Lightning" Pack. 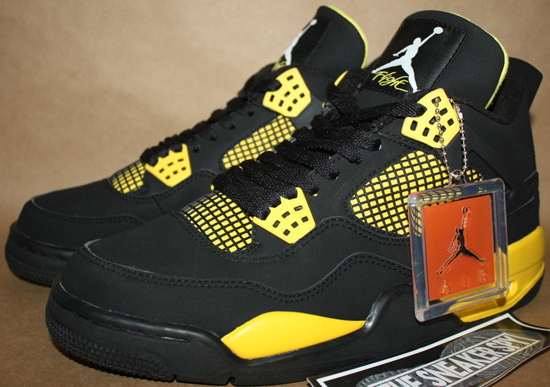 One of the rarest and most popular colorways of the Air Jordan IV Retro. Now hitting stores for the first time ever. 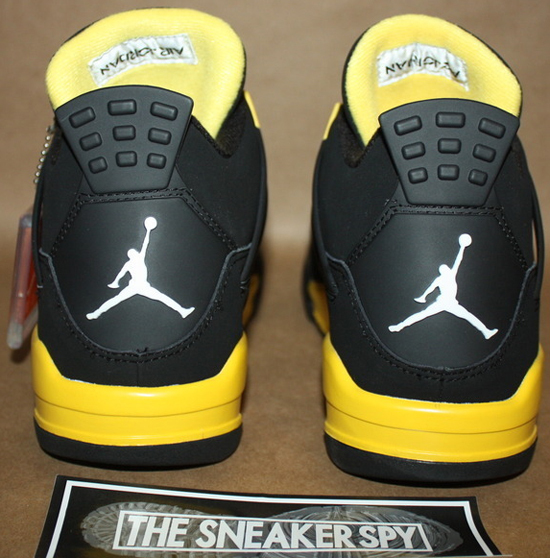 A limited release, they will be available select Jordan Brand accounts retailing for $160. One of the most anticipated releases of 2012, these are sure to sell out instantly. Check out the new images below as a well as a bonus image of my 2006 pair for comparison. If you want to grab these now and avoid the hassle come release date, click here to grab a pair on eBay.